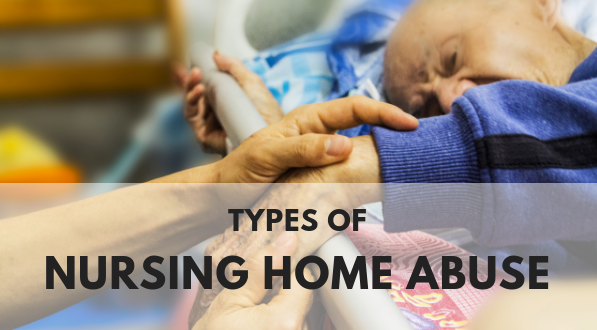 Types of Nursing Home Abuse in the U.S. Nursing home abuse stories are all over the national news. A Quincy nursing home is fined after mental abuse by a staffer. A troubled Raleigh nursing home faces new state and federal investigations. And of course, the well-known and horrifying story of the long-term care facility patient who was raped, became pregnant, and gave birth. How common is nursing home abuse in the United States? And what exactly do we mean when we say ‘nursing home abuse’? What are the different types of nursing home abuse?